"A wonderful fun sassy neighborhood girl that I was..."
"I am so sorry for your lost and what great memories she has..."
"You were the best of us. Love Fred"
"We will miss our sweet neighbor. Not only was Jo wonderful..."
"I am so sorry to hear we lost Joanne. She was such a..."
Loving wife of Terry Rooney passed away at home after a long courageous battle with cancer. She is survived by her husband of 40 years, Terry and daughter Marie Biddix (Tommy), son Randy Rooney (Carrie) and daughter Michele Rooney. She is also survived by her mother Carolyn Hoisington, her sister Judy Gottschalk (Gary) and her nine grandchildren. 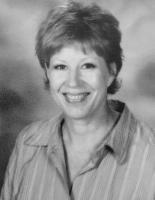 Joanne worked as a teacher of Early Childhood Education at Woodland High School until 2011. She will be remembered for her incredible gift of understanding and working with children of all ages. She will be greatly missed by her family, friends and anyone whose heart she touched. Services will be held at Grace Community Church in Woodland at 1:00 p.m. on Saturday November 2, 2013.